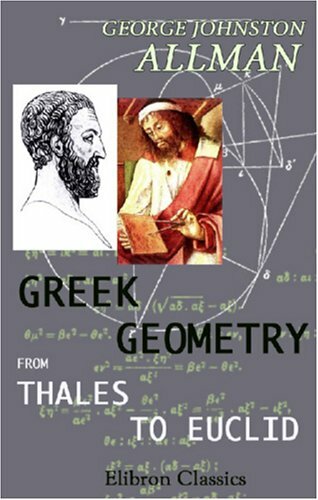 The founders of Greek philosophy -- Thales and Pythagoras -- were also the founders of Greek Science, and from the time of Thales to that of Euclid and the foundation of the Museum of Alexandria, the development of science was, for the most part, the work of the Greek philosophers. With the foundation of the School of Alexandria, a second period commences; and henceforth, until the end of the scientific evolution of Greece, the cultivation of science was separated from that of philosophy, and pursued for its own sake. A series of snapshots of the history of mathematics from ancient times to the twentieth century. The intent is to give the reader a sense of mathematical culture and history. The book abounds with stories, and personalities play a strong role.